Become familiar with the concept of luxury as this recliner and ottoman set is all about rich, traditional elegance and modern superiority. 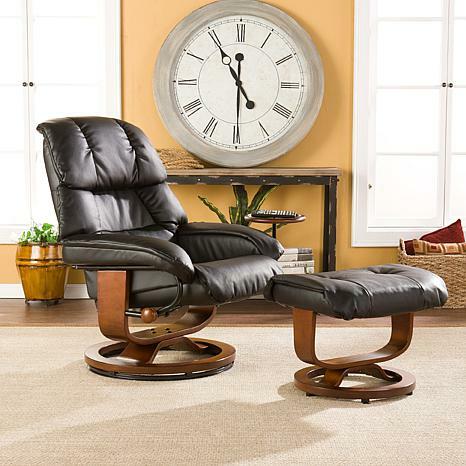 This reclining chair and matching ottoman merges the ease of reclining with the comfort of luxurious bonded leather for a perfect end-of-day reward. As a bonus, this set comes with a smooth sliding side table that offers a handy spot for holding a beverage or storing a remote. 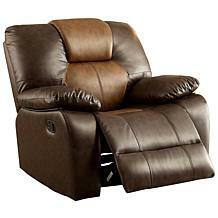 So go ahead and put your feet up with this ergonomically designed recliner and ottoman set; you'll want one for every room. I was afraid to order this because I heard it came in several parts. Well, it came in about 10 parts and took me about 2 1/2 hours to put together. It was packed very well and each part was wrapped very well. In the box it was around 77 pounds. All the hardware was there. After I finally put it together it is a very nice, comfortable, beautiful, sturdy chair. The wood on this chair is top notch and beautiful. The not so real leather is very nice but in some places already the stitching is coming undone. The side table is useless. Not sure why it is even there. Even after it is screwed on it is built in such a way that it sways away from the chair....just dumb. I put it in the closet, not needed. 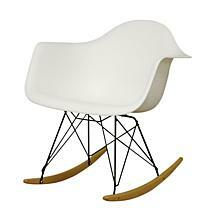 I like this chair and look forward to many years in it. 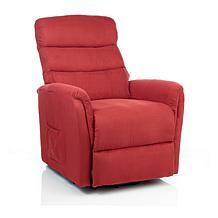 I am 6 feet tall and around 220 pounds and it holds and seats me very well. item has damage on seat handle area coming apart after I assembled it lots of parts and not easy to put together. 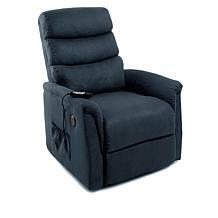 size is small compared to other recliners, not for a tall or large person. Hsn customer service was very helpful in helping me to get this item returned weighs over 70 lbs.